On 26th February 1815 Napoleon Bonaparte escaped from his exile on the island of Elba and began his “100 days” revival that would end with final defeat at the Battle of Waterloo. 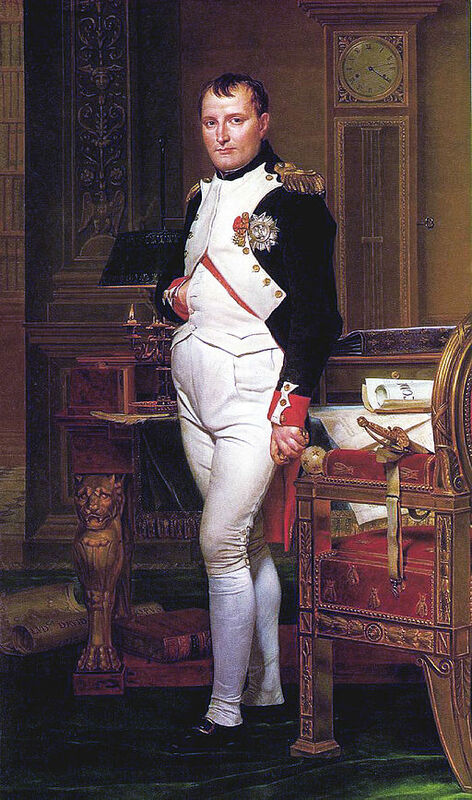 After a series of defeats, Napoleon had been forced to abdicate on 6th April 1814. The allies sent him to Elba, a small island in the Mediterranean between Corsica and northern Italy. He was allowed to retain the title of Emperor, but his empire now constituted a mere 75 square miles of hills and coastal bays. He could have lived in retirement in some degree of luxury, having been granted a stipend of two million francs a year, but he had other ideas. He was worried by the rumours he heard that some of his enemies were planning to send him much further afield. Another concern was that he was separated from his wife, Marie-Louise, who he believed was being kept from him by the new rulers in France. However, what he did not know was that Marie-Louise was heartily glad to have parted company with him and was happily involved in a liaison with an Austrian count. So, on the evening of 26th February, Napoleon gave his captors the slip and, accompanied by some 800 loyal soldiers, left the island in a fleet of sailing boats that landed on the coast of France near Cannes on 1st March. Gathering supporters as he went, Napoleon marched towards Paris. The recently restored King Louis XVIII fled, and Napoleon was once again the Emperor of France. After his defeat at Waterloo on 18th June 1815 the allies did not make the same mistake again. This time Napoleon was sent somewhere far less luxurious and much more escape-proof, namely the South Atlantic island of St Helena, where he died in May 1821.